You’ve probably noticed the wonderful effect of a healthy and beautiful smile on one’s social life and everyday relationships. From boosting your confidence in helping you achieve your goals in various life situations, healthy white teeth is a dream for most of us. So if you want to improve your smile and are considering teeth whitening in NYC, here’s a handy guide to everything you need to know about this procedure, especially if you’ve got sensitive teeth. Dental discoloration is not the issue to take lightly, particularly if you struggle with teeth sensitivity. That’s why you need a skilled professional dentist to point you in the right direction. A professional New York dentist will carefully examine your oral cavity and deliver a pain- and stress-free experience. Remember that sensitive teeth require the least intrusive method of teeth whitening, for example applying a laser teeth whitening system. Before undergoing the teeth whitening procedure, it is important to remove plaque. Otherwise, the effect of teeth whitening might not live up to your expectations and the procedure might not deliver the results you hoped for. Likewise, you might need to treat caries and gum issues, if you have any, before undergoing the teeth whitening procedure. Only, in this case, you can ensure that your teeth and oral cavity are healthy and fully protected, before and after teeth whitening. 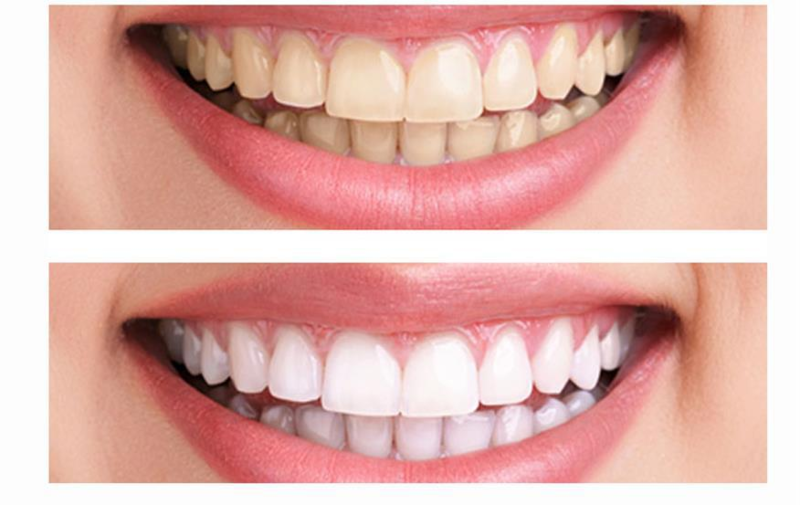 A lot of people are concerned that they would have to eliminate wine, tea, and coffee from their everyday diet after whitening their teeth. However, you don’t have to abandon your favorite snacks or beverages, but you do need to enhance your dental hygiene. The golden rule would be to brush your teeth right after you’ve drunk that cup of coffee or a glass of wine. In addition, remember that it is recommended to avoid food and drinks that can aggressively color your teeth for at least two days after undergoing teeth whitening. Provided that you take thorough care of your teeth and visit your dentist for regular check-ups, the effect of teeth whitening can be preserved for over a year.